The main purpose of route optimization is to achieve the most cost-efficient collecting solution for the area of waste collecting, having regard to all parameters that are commercially sensitive, such as arrangements for transport and recovery, working time, varying availability of some locations, the capacity of containers and vehicles. 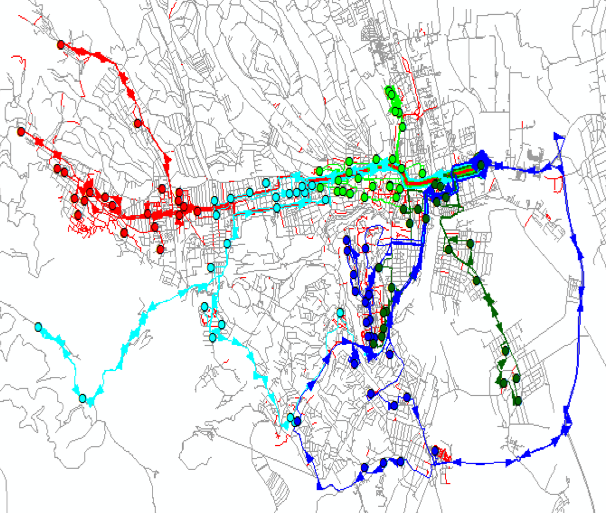 The main benefit of route optimization is to assess the impact of the changing environmental factors – which were recovered from geospatial models – and their effects on waste collecting system (new establishment, new emptying order or new work order, vehicles with different capacity, use of collection containers, etc.) without the risk of „experimentation” that can incidentally have even negative results.